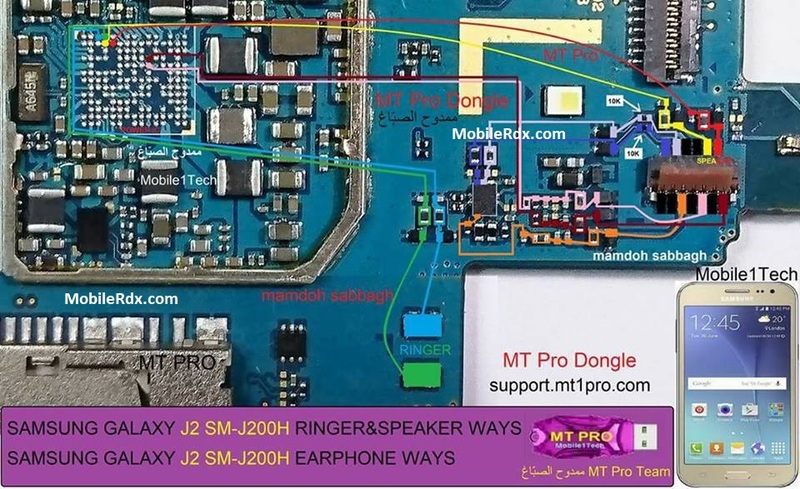 Samsung SM-J200H Earpiece Ways Ear Speaker Solution Handsfree Not Working Ringer Fault Repair Solution Sound Audio Problem Solution. Earpiece or as some people call it speaker is placed on the top front of Samsung Galaxy J2 J200H. It is used for listening phone calls nothing else. All the other sounds come out of IHF speaker which is placed on the back bottom of the mobile phone. So if you can’t listen to the person on the other end of a phone call unless you open up the loudspeaker option from within the phone, your earpiece is faulty and you need to change it.